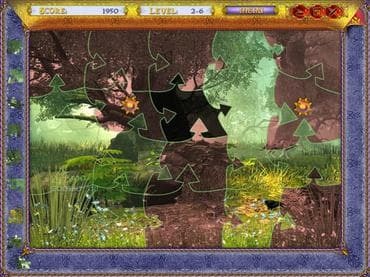 Jigsaw Puzzle Mania is a unique game combining new but recognizable jigsaw gameplay. Each stage is unique with 75 pictures and 75 distinctive puzzle forms to solve. Never play the same jigsaw puzzle twice as you make your way through a magical land. Work your way through thrilling mini-games which are an integral part of the magical experience. Do you have the puzzle skills to fit jigsaw pieces together and rescue the last surviving unicorn! Features: - 75 exciting puzzle levels; - Unique pictures and layouts; - Family friendly puzzle game; - Beautiful music and sound; - Free full version jigsaw game without any limitations. If you have questions about Jigsaw Puzzle Mania game, please contact us using this form.